Hundreds of artists have now convened in this place to enable a new form of art to emerge. This form examines what is known as the dynamics of swarming intelligence, a form of global intelligence that can emerge from the unified actions of many members of a large group. Our World is also such a gathering place; and in this particular convergence of artists, we are examining the nature of a new World Culture, a culture that can emerge when all open minds in the World mutually reinforce each other in forward-looking action. Artists have ideal minds for comprehending the nature of complexity. The artistic work of this evening celebrates the wondrous complexity of swarming dynamics, as we can observe it nature and in intelligent cultures. This swarming concept is evident in the group of swimming fishes and the birds, which fly together in groups in the sky. Other that that, the swarming concept can also be seen in remote areas all over the world, dance from the tribes of Dani, Asmat and Nias, in the deep-forest of Kalimantan, and also in the Amazon rainforest. We have taken measurements of the acoustic properties of the performance space, showing how it transforms sound, the rhythms of its echoes, and the way it resonates with certain sound frequencies. With these data, we have used computer programs to transform soundscapes that we pre-recorded from swarms in nature, like birds, insects, and various animal groups, along with sounds from human, urban swarms. This makes them sound as if they had originated from inside the space. Then, we will play these transformed sounds back into the space, producing doubly transformed soundscape compositions. These will be mixed together in spontaneous, live performance. 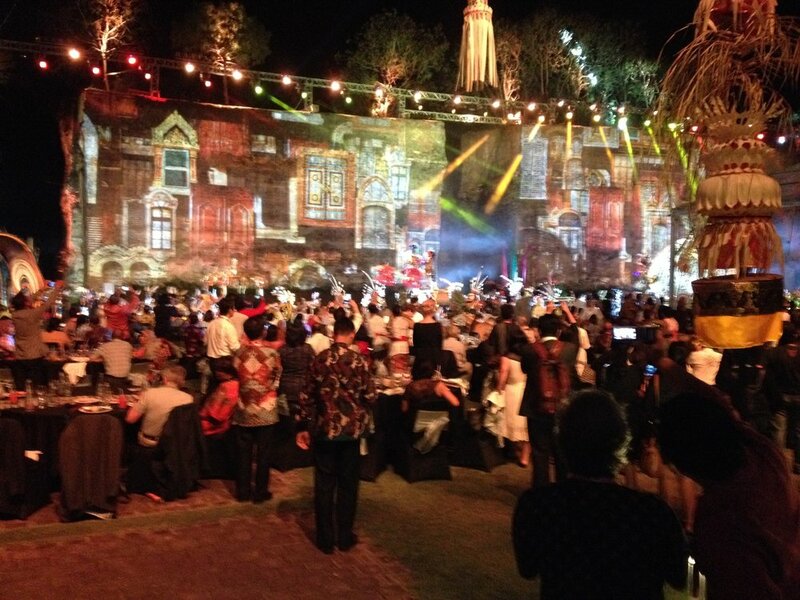 We will also perform with what is called projection mapping. These images depict dynamic behaviors of swarms in geometric patterns and forms from nature. Finally, hundreds of dancers and musicians will also move in swarming choreography, circling continuously, in and out of the performance space. 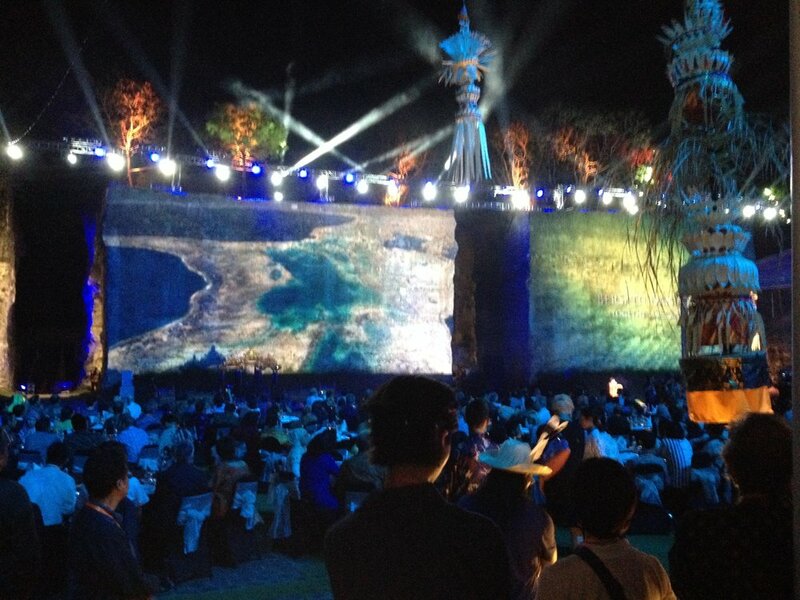 All of this experienced together celebrates the beautiful complexity of humanity and it’s now emerging World Culture.